The US President calls upon the service of Remo and Chiun to smash an Asian conspiracy that could lead to a US-China confrontation . . . if the superhuman weapon of destruction fails, it could mean the end of the USA. There is a secret only Chiun knows. America has committed a sin against him he cannot pardon -- and he will not even share it with Remo Williams, the Destroyer, whom he has taught all his skills and loves as a son. Deep in Africa, countless feuds that have blazed for many centuries are quickly being resolved by death and massacre. A massive conspiracy is unearthed surrounding the centuries-old slave trade, and only Remo can unravel it. Warren Murphy's books and stories have sold fifty million copies worldwide and won a dozen national awards. 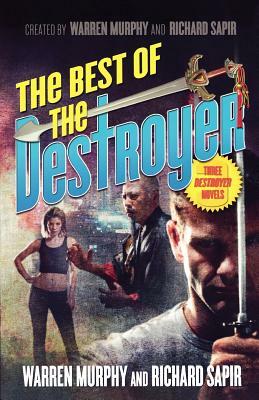 He has created a number of book series, including the Trace series and the long-running satiric adventure, The Destroyer. Richard Sapir wrote five novels: Bressio (1975), The Far Arena (1978), The Body (1983), Spies (1984), and Quest (1987), a modern day search for the Holy Grail. He passed away in 1987.